What sort of person does Malta need as its next president? 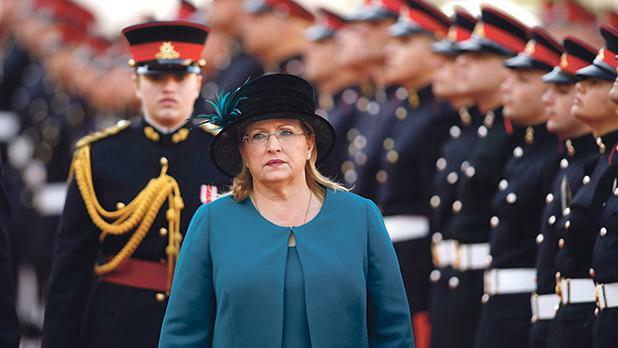 The appointment of the next president of Malta is due in two months, so it is not surprising that the media and the public have been discussing and speculating on who our next president should be. We have also seen comments from prominent members of the parliamentary Opposition. Unfortunately, they have tried to politicise this decision. They spoke about political affiliations and not about the person’s qualities, giving the impression that people with political backgrounds cannot rise above their political beliefs. History shows otherwise. Our country has built a tradition of excellent statesmen and stateswomen who made us proud. I must note that this government has shown, on more than one occasion, that it has no difficulty in going across the political aisle when taking its decisions. However, when choosing a president, the requisites should be different than just political background. I believe that there are three characteristics that our next president should have. First of all, the chosen person must be competent and qualified for the role. A president should have an array of political and professional experience that gives him the confidence needed to fulfill such a role, which has both local and international obligations. Secondly, we must keep in mind the current political and international scenario. Malta suffered unjust, untrue and regular rhetoric instigated by a vociferous Opposition whose only agenda was that of trying to bring down the government and in the process hurting not just the nation but also the Maltese people. The Maltese know the facts. In fact, they confirmed the present government with a historic majority. However, I believe that the next president should have the right fortitude to convey messages abroad of truth, full confidence in our government and authorities, and the real nature of local happenings. Finally, our president should also be one who can symbolise national unity. To achieve such goal, the president should have a history of political correctness and a substantial contribution towards the well-being of the country. When in 2017, with a big majority, Maltese citizens chose Joseph Muscat to lead the country, they were also entrusting him with taking similar decisions. This mandate should be respected. After all, he was proved right when he chose Marie-Louise Coleiro Preca for this current term which will end in a few weeks. I am convinced that Muscat will make the best decision for the next five years. I am also certain that whoever is chosen will build on the excellent work of the presidents who came before and will continue to unite the country. As citizens and politicians, we must help by giving all our support and to love our country. Because Malta’s interest should always come first. I have always believed that a president needs to be a unifying factor in the life of a democracy. Malta has always had, with one exception, presidents from the political class. Most of them were elected straight from active political life and some did struggle to rally the nation behind them. It is not easy for an active politician to be regarded as a unifier especially in a highly polarised scenario such as we have in Malta. The present incumbent has triggered the process through which our Constitution will be revisited and changed. The Constitution is the principal law of the country and we cannot get it wrong. I hope that all parties, civil society organisations, constituted bodies, NGOs and people of goodwill, will be allowed to participate in this change. So it is essential that our next president takes ownership of this process and steer it towards a path of dialogue, respect and openness to ensure that we get the best constitution possible for our country. Our democracy is relatively young and we need to be sure that the steps we take in our constitutional development lead to improvements in the rule of law, citizen rights and in the “contract” between our governments and citizens. A president should act as a guardian of the Constitution and I feel that we need to have someone who concentrates more on this role. I am sure that previous presidents were actively working on this, but I feel we need a higher public profile of this role. At a time when our country seems to be becoming more polarised, facing greater challenges, both internal and external, when citizens and their rights are often taken for granted, a person whose personality is determined by integrity, merit and competence and who is perceived as one who unifies a nation, is essential. The Democratic Party has insisted that the government should demonstrate the political will to work towards this and has proposed that the next president be appointed by a two-thirds majority rather than a simple one. We are also proposing that a Council of State is chosen which will assist the president in this role. In the long years that I have been living in Malta, I have learnt to appreciate the many positives that this country offers. There are also areas which need to improve – a president who acts as a guiding light to our country would be a major step. That is why, notwithstanding the fact that our president does not have executive powers, we need to choose wisely. The country deserves no less.